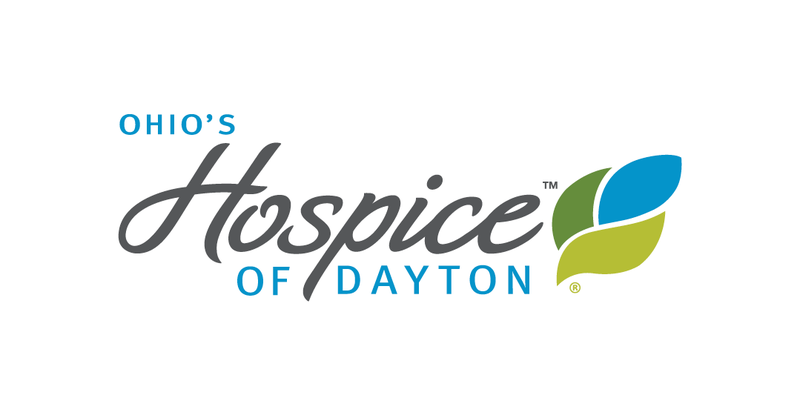 Hospice of Dayton is joining with Dr. Govind Bharwani in a research project to improve the quality of life for Alzheimer’s patients in a collaboration involving Hospice of Dayton, Wright State University (WSU) and the Alzheimer’s Association Miami Valley. Alzheimer’s disease currently ranks as the sixth leading cause of death in the United States, with one in three seniors dying with Alzheimer’s or other dementia. Thanks to a grant from the Social Entrepreneurship Fund, Wright State University, Dr. Bharwani’s research using Behavior-Based Ergonomics Therapy (BBET) is now being used with Hospice of Dayton patients. BBET has received five national awards. 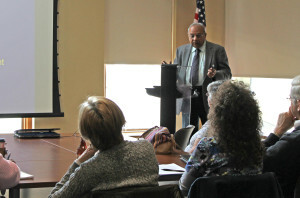 Dr. Bharwani is Co-Director of Ergonomics and Alzheimer’s Care at Wright State University, College of Engineering. He is a specialist in Ergonomics, a science focused on reducing physical and mental stress. The award winning BBET program he created focuses on individualized non-pharmacological therapies for people with Alzheimer’s disease. The BBET approach with Neuroscience involves engaging patients in activities such as listening to music, watching videos or playing games/puzzles that are uniquely linked to their personal life experiences. 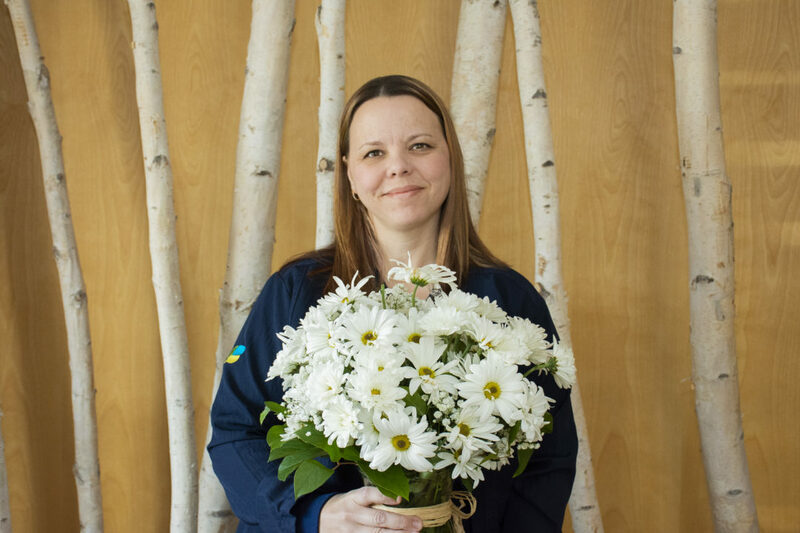 As a result, the residents receive emotional connections with these comforting therapies and their mental stress is reduced. One published study showed that within six months of using BBET in one local facility, falls decreased by 40% and the use of anti-psychotic medication was reduced by 70%. The following project advisors are also providing valuable input and guidance: Dr. Larry Lawhorne –Chair and Professor, Department of Geriatrics, WSU, Dr. Tim Cope – Chair and Professor, Department of Neuroscience, WSU, Dr. Jeffrey Allen – Associate Dean and Professor, School of Professional Psychology, WSU, and Eric Van Vlymen – Executive Director, Alzheimer’s Association Miami Valley. The Hospice of Dayton project is the first customized therapy application for Alzheimer’s patients in their final stage of life. Research will differ from previous studies because the patients involved are in advanced stages of Alzheimer’s and display more progression of neurological disease. At Hospice of Dayton, BBET therapies will be incorporated into the Alzheimer’s patients’ care plan. The study will begin with developing the baseline data on metrics which can be measured. 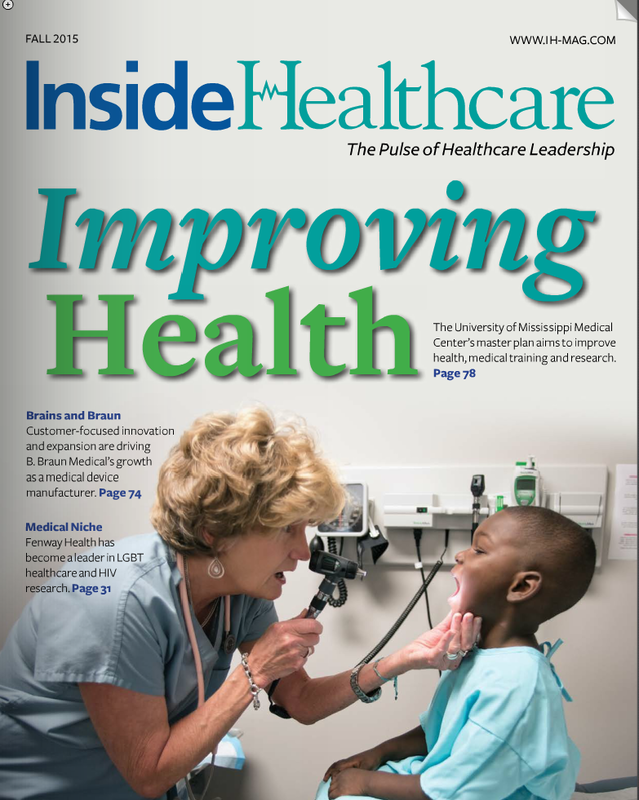 The same metrics will then be measured after the patients are exposed to BBET to compare the data between the pre- and post-implementation of BBET using quality of life metrics. The study will last for a six-month period, from February to July 2014. 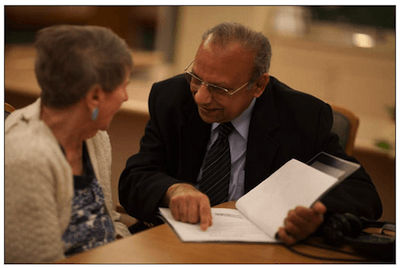 Hospice volunteers will play a central role in providing the therapies to the patients based on the training and guidelines provided by Dr. Bharwani and his daughter Meena, who serves as a training coordinator for the program. Dr. Bharwani will also work with Hospice of Dayton focusing on Alzheimer’s patients in the home care setting. With the increasing number of Alzheimer’s patients receiving in-home care, Dr. Bharwani is striving to provide practical techniques for family caregivers, who are often overwhelmed when trying to meet the needs of their loved one with Alzheimer’s. The Greater Dayton Mental Health Foundation for the study of the impact of BBET on persons with Alzheimer’s disease living at home has granted additional research funding.